Kids of all ages are going to love this Bundle. 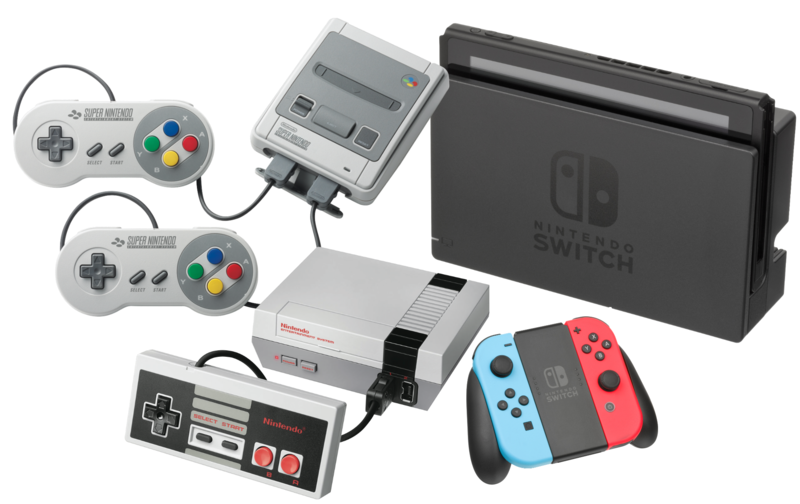 3x Nintendo Consoles from where it all began with the Classic Nintendo console pre-installed with 30 classic games. Then hit the 16 Bit Revolution with the Super Nes, re-released with 20 of the eras best-selling games. master those and move on the present day with the Nintendo Switch. What better way to get an appreciation for modern graphics than by watching them evolve.